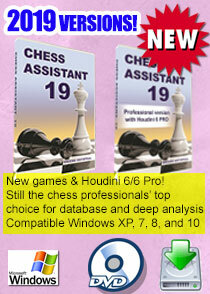 Following her European Team Championship success with the amazing score of 7.5/8 (tournament top performance of 2766! 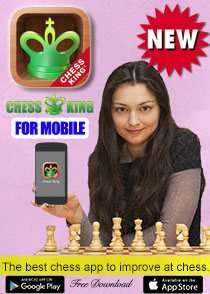 ), Alexandra Kosteniuk gained over 16 ELO points to reach 2526 ELO, which makes her #9 woman in the world and top woman player in Russia. 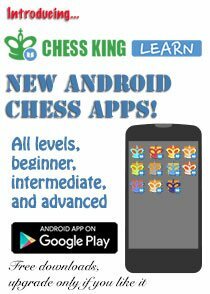 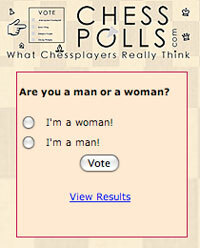 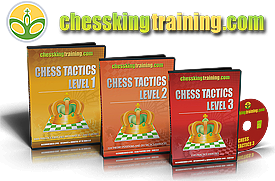 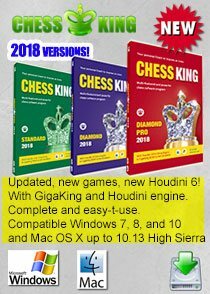 You can see live chess ratings for women on this site. 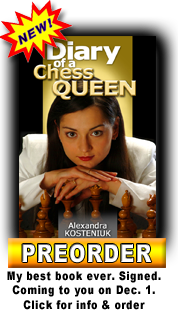 That’s a little lower than her record of 2540 achieved in 2006, just before she became 2008 women’s world chess champion, but close to 90 ELO more than last year this time. 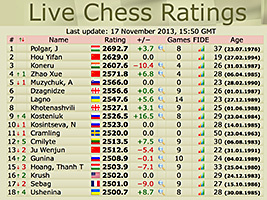 In Rapid and Blitz Alexandra has 2588 and 2612 ELO, respectively.